In past, we deeply evaluated React native databases and React native app performance issues. What we didn’t talk about were limitations. Understanding these limitations is extremely important before you start developing your apps. In this article, we are listing some of the most common limitations in React Native. We hope to help you avoid some really big pains in your react native app development. It can even help you decide whether react native as an application platform is right for you or not. The second part of the blog post is a real-time managed lists of limitations from our developers and technology leaders. The list of limitations is being contributed by some of the world’s leading experts. Listed below are some commonly known limitations of React Native. Note: We are not in any capacity implying that React Native is bad. In fact, React Native has been one of the biggest cross-platform movement that we have observed. Also, we figured out that while using SDKs like Google Analytics for mobile – you need to understand the inner working of the native library to make sure you understand how to integrate it with you react native app without breaking anything. Some support is available from tools such as Expo, making react native more convenient and helpful. Under cross-platform development scenarios, it is often assumed that an app component written on a cross-platform or hybrid framework would behave the same on both iOS and Android. While that stands true for the majority of the cases, it doesn’t exactly work like that in a few use cases. In order to generate more functionality on React native, an abstraction layer is created on top of the native platform. Any bug encountered in the abstraction layer can bring in unexpected bugs within your application. Not only these bugs are extremely difficult to diagnose, they are difficult to pinpoint as well. Having abstraction layer in place also implies that you would be dependent upon third-party services or libraries to keep your framework up-to-date and prevent it from breaking. Another side of having these abstraction layers is that you will have to implement custom designs in platform native languages such as Java, Objective-C or Swift. This often reduces the benefit of keeping a hybrid platform and frustrates mobile app developers. Though react native is a considerably matured development environment, some parts of it are poorly documented. This often makes it a bit difficult for developers to pick up the right parts and optimize the app for performance. We have often seen, and our internet is full of stories, whereas the official documentation isn’t sufficient enough to bring in the required quality. React native is awesome, no doubt there. But, for your specific use cases, you need to assess and check whether the implementations are robust enough. Take the case of Tab Bar as an example. You would find proper support in place to have a Tab bar in iOS, but Android lacks support. When things like these happen, you often have to pick up third-party resources or libraries. For another year or so, this seems like to be a case for another year. So, no matter what app you are trying to build always look whether third-party solutions are available or not. We talked about heavy dependency on third-party libraries in the section before. What you should also know is that React Native update often happens more frequently. And when that happens, third-party libraries and services often get outdated. Depending on the community support for a particular library, you can expect it to remain updated or face app breaking issues. 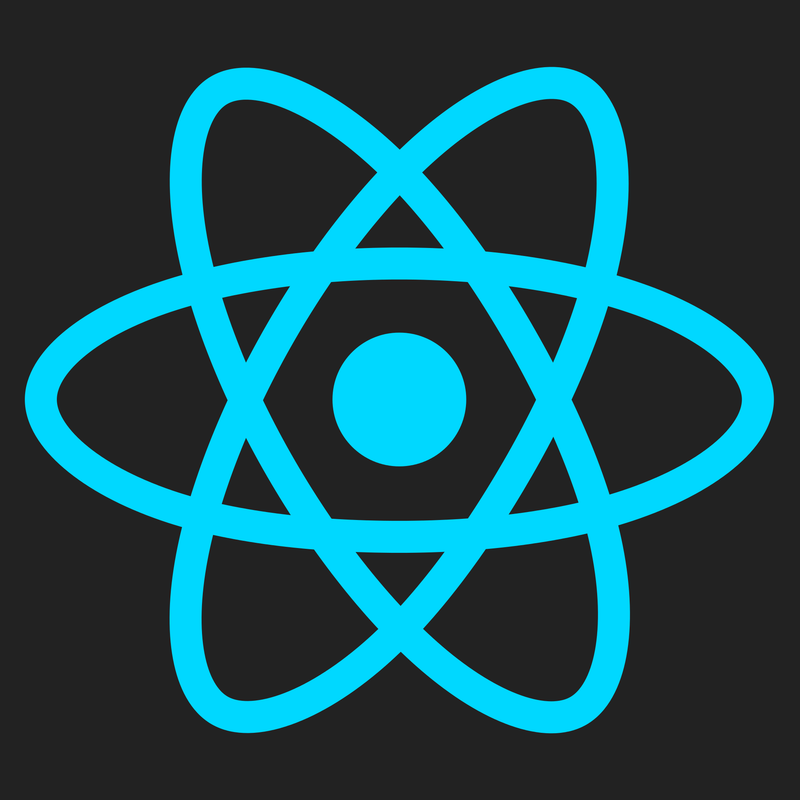 Since React Native is fairly new entrance in the development field. It’s getting frequently release every month. While most of the releases don’t bring up with wholesome changes with them but there are few releases such as react native 0.40 that changes the whole ecosystem with updation. As a result of which, you have to eventually wait for the library maintainers to catch up with updation. Simply put, there is no such thing such as “Long term support” with the case of React Native. As each version will require updation of the platforms which will arise the need of checking dependency with the existing code base. For instance, if you require your app to perform live chat and video surfing in parallel then you can’t expect that with React Native. We will frequently update the list. Subscribe and Get notified of every possible existing limitation of React Native. Debugging styles in React Native might be bit inconvenient for an immature web developer as you can’t depend on chrome debugger to edit each element’s property differently. Though React Native offers you a built-in-inspector, it is quite a basic thing at your disposal. You would find it a bit annoying to debug styles in case when it grows and covers lot of screen. Simply put, debugging styles in React Native can quite mess up the things for you. In React Native, you will find it annoying if you decide to test your app by using testing services other than Apple’s own testing tool Testflight. Because you may have to deal with problems of obtaining the necessary certificates and provisioning profiles at the same time. However, on Android the entire process is much painless and smooth except when you want to update your alpha version which can take up to 24 hours straight. With React Native, some issues have been significantly raised from time to time regarding OTA updates like this. Moreover, OTA often push out malicious updates which could be quite intimidating for your app environment. As mentioned above, this is the second part of React Native Limitations which is contributed by some top-notch experts of React Native community. Fundamental Problems – “Fundamental” problems would be those that are limitations of the react native architecture directly, and are unlikely to change. We can only work around them and minimise their impact. Implementation Problems – Implementation problems are those which I think can be fixed but have not been yet. Sometimes these problems are side effects of the “fundamental” problems, but I think could still have compelling solutions. Socialization Problems – Finally there are “Socialization” problems which can be solved by the contribution of community. All data has to get serialized into JSON on its way in and deserialized on its way out. This double ser-de pass can be costly for data-intensive problems. It also prevents sharing any memory between native and JS. JS is single threaded, which means there will always be limitations around doing meaningful work in the JS context. This can be worked around with really good scheduling paradigms (e.g, react fiber), but is always a limitation. Any code written in JS needs to be parsed and executed in the JS VM. This has a cost and compiled code and binary loading will always win here. There are potentially some ways to improve this with bytecode caching or something, but that still seems far off. Both iOS and Android have really robust recycling abstractions with RecyclerView and UICollectionView. There is some difficulty recreating this on top of react’s architecture as well as react native architecture. There are some attempts to build more optimized list views in RN, but they all have trade offs and I’m not that impressed with how far the community has gotten here so far. That said, I think the current ceiling here is higher than people think and we have worked around list-related problems successfully. The RN gesture system is currently mixed. There’s some stuff that lives in JS (Touchable and PanResponder) and other things that live in Native with the platform gesture system (ScrollView). This means that when you have the two of them competing with one another, you run into problems. Ultimately I think we need to move to an entirely native gesture system with some JS declarative APIs similar to what we did with the Animated API. react-native-gesture-handler is on its way to bring this, but more work needs to be done. This can be solved in large part with typescript, flow, or reason. This is not the common path though. This concerns a lot of people in the native community a lot. RN community is all about the web and is all web engineers. Native engineers feel this as threatening and the two communities need to find some common ground I think. This just seems to be true. We need more high-quality examples of React Native succeeding. People have a bad taste in their mouths from previous “failed” attempts at this like Cordova/Xamarin etc. Those are the main ones that I can think of. To be clear, a lot of these I think are platform problems but a lot are things that tend to not matter > 95% of the time. And when they do end up mattering, it often just makes experiences a little bit worse, but not to the point where it’s a deal breaker but that really depends on the application of course. Each new part of the machine increases the complexity, deprecates some unpopular use-case, and possibly fragments community. When you take a step back and look at the toolchain, you get long list dependencies that are individually evolving. The biggest limitation to React Native app development? To continue evolving without alienating one another. Communities, conferences, and transparency are the key. If we ever drop the ball on that, then whatever the current ailment of RN is, will be its greatest limitation. Navigation is not easy. There are many many libraries out there for navigation but it’s still something that isn’t the easiest to build in terms of having a completely fluid and maintainable navigation flow for both iOS/Android. Performance intensive operations. This is where the JS bridge of React Native can some problems if intensive processes are running that would probably make more sense doing directly on the native thread. This is something many developers probably won’t have problems with, however. I think the answer will really depend on the project requirements. Afterwards, we switched to https://github.com/invertase/react-native-firebase which uses the native Firebase libraries for both iOS and Android, so we don’t need to do that anymore and it’s been flawless and way more performant so far. The first one is the navigation. Solutions such as react-native are not effective for production. Performance is the main problem today. Fortunately, there is react-native-navigation that offers very good performance but it’s not yet customizable enough (for v2). The management of multi-threads is nowadays difficult to achieve. It is difficult to maintain good performance on older devices (e.g. iPhone 4). React Native is not yet well supported by Flow and Reason. The community is mostly composed of people from the web. There are not enough people from Swift or Java. Any time you abstract away from complexity you sacrifice speed.. so that is the main issue with RN… speed on Android devices (older ones) and older iPhones. I was recently working on re-creating this (File attached below) but border radius animation can’t be natively driven so I couldn’t come to full parity on the drag down interaction. It was a real headache. The biggest limitation was poorly written native modules and perf sensitive modules written in JS, instead of native. In my relatively limited experience, the main limitation is in graphics manipulation – the best practice drawing surface that I have found still seems to be a Webview with a canvas inside which is doable but rubs against the react workflow somewhat. There is one thing which is on my mind, though it’s not some sort of limitation. It would be great if stateless functional components would support Hot Reloading. Not having to wrap every component in a class would be nice and clean. If I had to pick one limitation, I’d pick my current struggle, which is animations. I’m in the process of trying to get some fancy dynamic animations done and running into issues getting the native components to communicate properly with React Native. In general, performance can be a struggle. The bridge can get very busy and performance will degrade. And because communication between native and JS threads is async, handling user interactions in JS isn’t consistently fast. According to me, the biggest limitation is when animations get very complex and calculation heavy (especially on certain layout changes where performance is key and useAnimatedDriver is not available). While maybe at times possible, the overhead of time spent to perfect them can be unreasonable. Luckily there are helpful packages out there such as Lottie (By Airbnb) to ease these use cases. The points mentioned above are some of the most commonly noticed limitations of React Native. Though React Native has completed two years since its launch, it still has a long way to go. In case, you think we have missed out on some limitations, Let us know in comments. Subscribe and Get notified about this frequently updated list of React Native Limitations contributed by developer experts from Facebook, Airbnb, Wix, Infinite Red and many more. No spam only serious content.